The best quality and value for over 141 years. Just ask Orville and Wilbur! Picture you and your guests relaxing in the shade on a hot day. That’s possible with stylish fabric awnings we craft to suit your home. 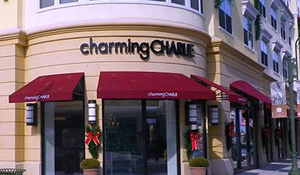 Our specialists also make custom retractable or stationary awnings for stores and businesses. These allow you to advertise your location while reducing harmful UV rays for your customers. 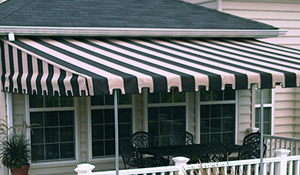 We don't make ordinary awnings: we make fantastic awnings. Each is custom designed, and every detail is carefully sewn and reinforced for durability. Our gallery showcases our quality craftsmanship. Check it out and then call us to visit your location. 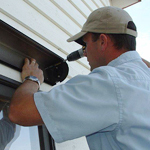 Our sales staff will take accurate measurements and provide a free estimate with no obligation. We're confident you'll be proud to own a classy shade awning custom made by Glawe Awnings and Tents. As our name says, we also have tents. Large or small, we rent them all. Contact the office for information about sizes, prices, and availability. Our staff helps plan your event by inspecting the site to recommend the best tent to meet your needs. 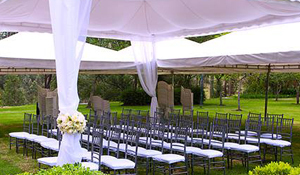 Our party tents are perfect for large gatherings so that you can organize your event with confidence. Call us to visit your home or business and provide a free estimate. Glawe Awnings and Tents has tents for all occasions, and we create custom awnings for all clients. Reach out to us for an awning specifically designed for your location. 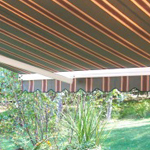 We create quality products, and we have the best retractable awnings in the country. 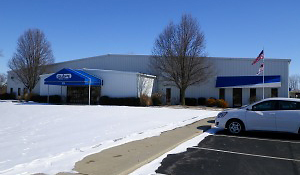 Our professional facility is located in Fairborn, Ohio. We serve clients locally, throughout Dayton, and the surrounding area. Know that a real person is available to take your call right away. Our history is what sets us apart. Our family-owned company has been operating for more than 125 years. 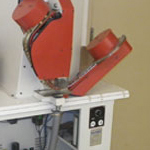 Our employees have been with us for 25–30 years with decades of combined experience. We're a stable company which is here to stay. Our trade association membership ensures you receive a high-quality, long-lasting product and excellent customer service. There is not much better than spending time outside with friends and family. A simple switch from inside to outside transforms an already fun time into a memorable one. It adds a carefree element which ramps up the relaxation and fun atmosphere even more. However, Mother Nature may not always share your sense of fun and whimsy; she can be uncooperative at times and decide to rain on your barbecue or birthday party. Don’t let her thwart your plans by choosing one of the independent custom awnings in Fairborn, OH, made by Glawe Awnings and Tents. 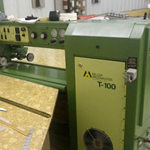 We’ve been in the business for years and have the exact product you need. A custom-made awning changes the entire feel of your home. Where before you had a deck exposed to the weather, you can now relax under covering made to your specifications. Our retractable varieties give you the option get the full outdoor effect or enjoy the shade. 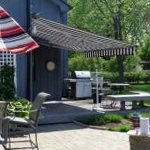 It’s a good idea to add a custom-made awning to your property when you plan on spending any amount of time outside. It’s no secret that UV levels seem to keep creeping up year after year with harmful effects on the skin as a result. When you’re in the shade, you’re safe. 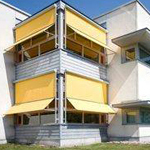 Door awnings add a touch of class to a storefront or home alike. They work wonders for protecting window merchandise from being faded by the sun while also enhancing the dramatic effects of any lighting added to the window display. Not only that, your customers will appreciate the opportunity to take cover from the blazing sun or battering rain. An awning tent is a great option to consider for your event. They offer flexibility and ease-of-use in a range of sizes and styles. It’s never been easier to get the optimal protection you seek with a tent. We have outdoor awnings for rent for those times when you plan to hold an outdoor event and don’t wish to throw caution to the winds. It’s never a safe bet to hope that the sun will shine on your outdoor event, or if it does, it’s not at a scorching level. Then, of course, there’s always liquid sunshine which can throw a damper on any party or festive occasion in a hurry. An event awning shows your guests or customers that you are serious about providing an outstanding experience for them. It shows you are paying attention to the details which include offering them protection from the elements while taking part in your event. Contact us to place an order for a custom-made awning or rental tent to meet your needs. We proudly serve Fairborn, Dayton, OH, and the surrounding area.